The Eldonian Happy Mouth Loose Ring Snaffle has an engineered plastic moulded mouth piece with a stainless steel core and single joint. This Happy Mouth Bit has loose ring cheeks to help avoid the horse leaning on the bit. Eldonian manufacture the original Happy Mouth bits and use an apple scent to make them more appealing and softer in the horses mouth. 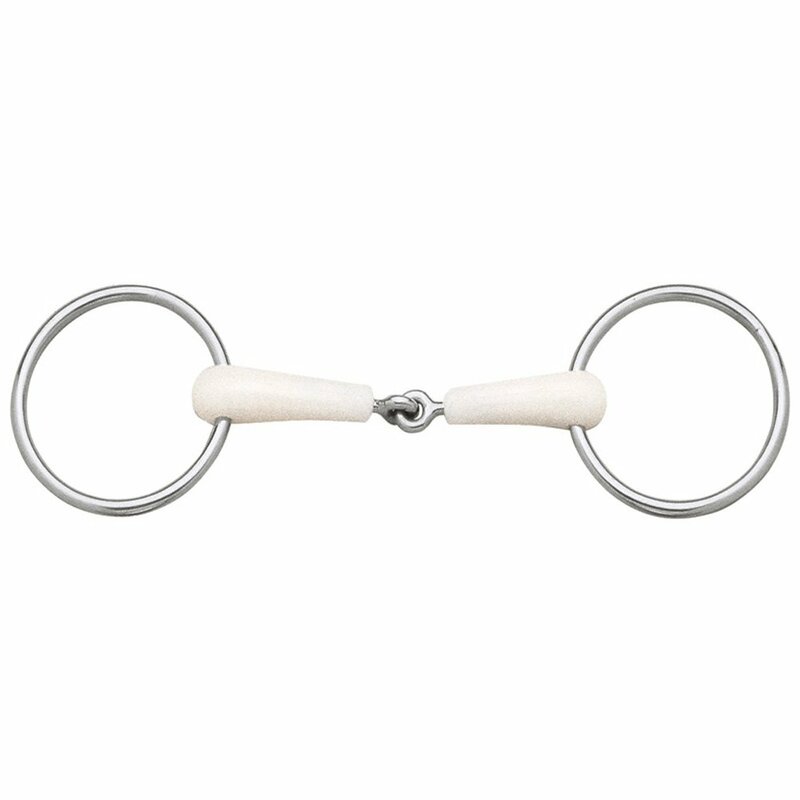 It is vital that your bit is the correct size and fit for your horse to avoid chewing; please discontinue use of the Eldonian Happy Mouth Loose Ring Snaffle if there is any signs of damage.